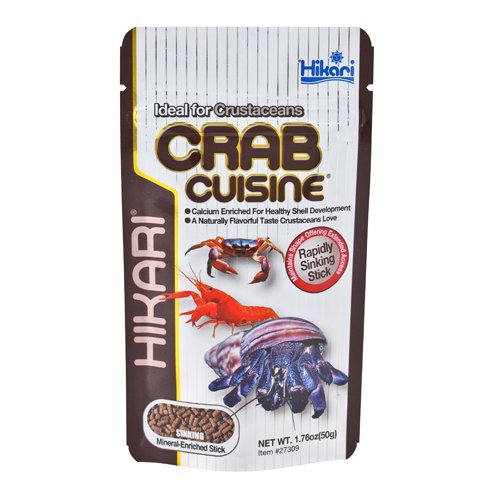 High in enriched calcium to promote shell development and support immune system health, Crab Cuisine® will help keep your crustacean friends safe from predators and looking their best! 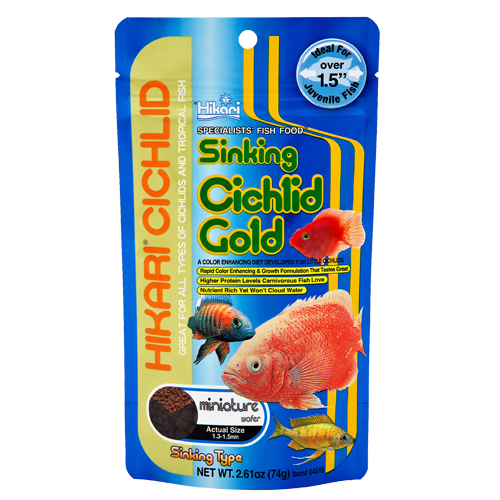 If you’re looking for an excellent diet for your pet hermit crab, look no further, Crab Cuisine® will keep them in top form and their food free of mold or other problematic accumulations common with competitive products. 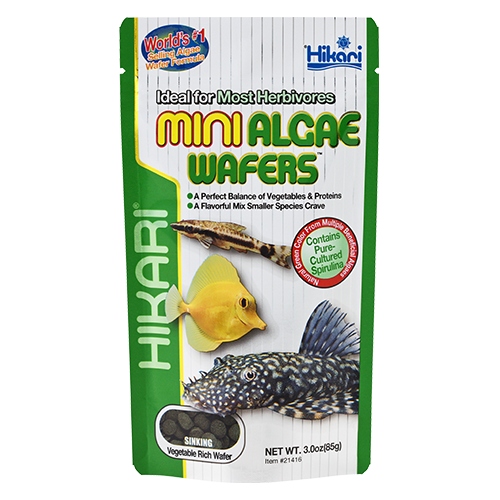 For lobsters, shrimp, underwater crawfish and other aquatic scavengers, feed one (1) to four (4) mini sticks twice daily based on size. Care should be taken to avoid over-feeding and always remove uneaten food after feeding period to avoid health impacting water quality issues. 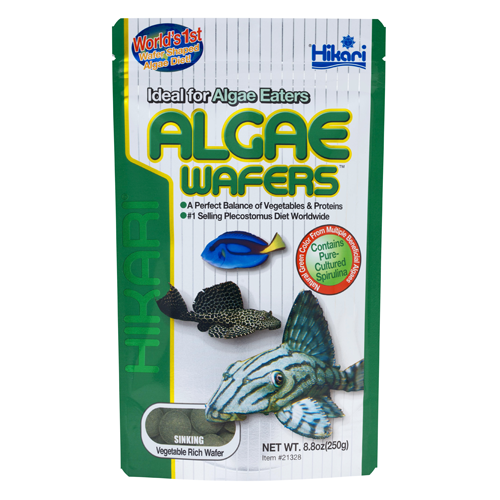 Hermit Crab Care & Maintenance: With proper care and feeding hermit crabs can live to be 10 years old. A clean environment free of debris and stagnant or soiled water is necessary for optimum health. Hermit crabs require large amounts of clear, clean water as part of their feeding. Their water source should be changed daily. Ideally, the temperature of their enclosure should be 75°F (24°C) with higher humidity and free of rapid temperature changes or drafts. Hermit crabs have no regular dining routine, rather they tend to eat at varying intervals from days to two weeks in length. 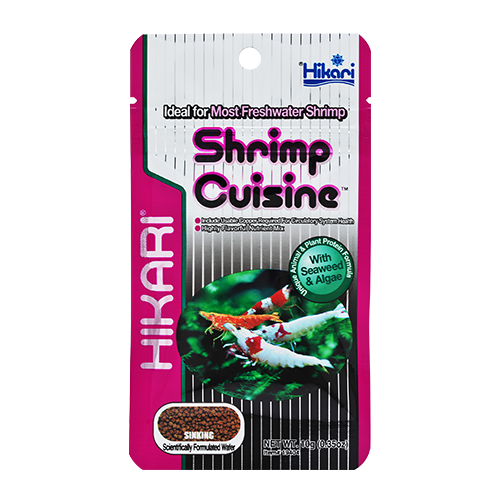 For the best results feed Hikari® Tropical Crab Cuisine® in a clean shallow dish once a week. After 24 hours remove uneaten food from the enclosure. Feed an amount equal to 2 grams of food (approximately a thimble full) for each hermit crab per feeding.